Is there a security update for the Intel ME firmware for my Razer Blade 15" (2018)? 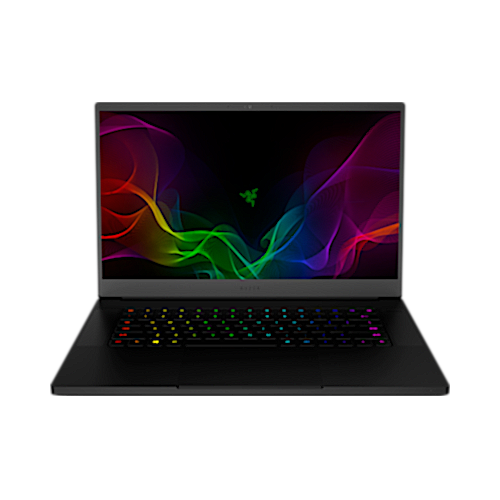 What are the specs of the Razer Blade 15” (2018)? How do the different versions of the Razer Blade 15” (2018) compare? Where and when will the Razer Blade 15” (2018) be available? Upon launch, the Blade may only be available at www.razer.com. Please visit www.razer.com for current availability. For other regional availability, please visit or contact an authorized Razer reseller in your area. What countries is the Razer Blade 15 (2018) Mercury White Limited Edition available in? The Razer Blade 15 (2018) Mercury White Limited Edition is available exclusively in the US and Canada through Razer Store, and in China through select retail partners. What is Nvidia Surround? Which ports on Razer Blade laptops and Cores compatible with Nvidia Surround? Nvidia Surround will allow users to extend their gaming experience across multiple displays to expand sound and vision. Compatibility will vary depending on the Nvidia GPU. For the Razer Blade line, Nvidia Surround is a feature that is available on supporting GPUs within our Razer Blade line that allow displays that are connected directly to ports that are wired to the GPU. This creates an immersive gaming experience for users through sound and vision. For instance, on the Razer Blade 15-inch, a user may connect up to two displays directly into the 15-inch Blade to utilize Nvidia Surround via the HDMI and Mini DisplayPort (The USB-C port on the Blade 15" is not supported as it is connected to the Intel chip). For a list of compatible GPUs, please see link below. What is compatible with Nvidia Surround? Compatibility extends to ports that are wired directly to Nvidia GPUs on supported Razer systems such as the 15-inch Razer Blade. It should be noted that a user can connect a Razer Core with an Nvidia Surround compatible GPU to the USB-C port and still get Nvidia Surround through the displays/monitors that are connected to the Razer Core. However, if a user connects a display/monitor to the USB-C directly, Nvidia Surround will then not be compatible that that display/monitor as USB-C is not connected to the GPU, but rather the Intel CPU chip. Monitors/Displays connected to the Core X with an Nvidia Surround compatible GPU. The Core X connects via USB-C, but the monitors will be connected to the GPU directly in the Core X unit, and therefore can take advantage of the Nvidia Surround feature. Why do some of the internal components look different than the images I’ve seen online? Due to overwhelming demand for the Razer Blade 15, we investigated ways to increase production output without impacting performance. By not painting the backside of the vapor chamber black and by adding a thermal pad to the SSD, we improved manufacturing output without increasing system temperatures or decreasing performance. Both designs - the black and copper vapor chambers with the thermal pads - offer the same performance. We apologize for not clearly communicating this manufacturing change. Our marketing materials are being updated to reflect this change. I have trackpad issues when running Linux (Ubuntu) OS on my Razer Blade 15” (2018). Please ensure you have installed the latest BIOS update to your Razer Blade 15” (2018). This update addresses your issue and other minor bug fixes. You can find the updater and instructions here. My Razer Blade 15" (2018) will not charge at time or wake/power on from sleep mode. Please install the latest EC update from Razer to your Blade 15" (2018). You can find the updater and complete instructions here. What is the refresh rate of the 4K Touch version of the Razer Blade 15” (2018)? The refresh rate of the 4K Touch version of the Razer Blade 15” (2018) is 60Hz. How do I upgrade the RAM of the Razer Blade 15” (2018)? How much RAM can I install in the Razer Blade 15” (2018)? What type of RAM can I install in the Razer Blade 15” (2018)? What does VR Ready mean? A laptop is VR Ready when it has the capacity to support Virtual Reality applications without any upgrades needed. Can each of the Razer Blade 15” (2018) display ports simultaneously output its own unique content? Yes, each of the display ports on The Razer Blade 15” (2018) is capable of outputting its own unique content. Can I use the Razer Core with the Razer Blade 15” (2018)? Does the Razer Blade 15” (2018) feature Razer Chroma? Can I use the Razer Power Bank to charge the Razer Blade 15” (2018)? No, sorry you cannot charge the Razer Blade 15” (2018) using the Razer Power Bank. Is the Razer Blade 15” (2018) supported by Synapse? Yes, it is supported on Synapse 3. Does the Razer Blade 15” (2018) support Miracast? Yes, the Razer Blade 15” (2018) can support Miracast. Can I use Thunderbolt USB-C to charge the Razer Blade 15” (2018)? No, the USB-C port is for data transfer only. What type of power supply does the Razer Blade 15” (2018) use? The Razer Blade 15” (2018) uses either a 200W or 230W power supply depending on the exact model.